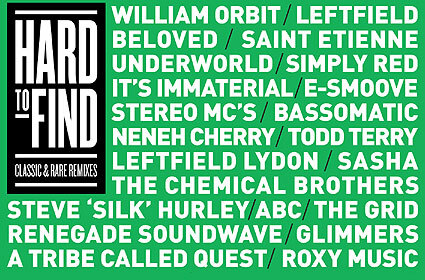 HTF is a brand new compilation series collecting great and lost remixes from old 12" vinyl and CD collections. It features tracks such as The Beloved - Sun Rising, ABC - The Look Of Love and Sheena Easton - 101. DJ historian, Bill Brewster, writes the sleeve notes for each release and has commented. "With Hard To Find, we've sent our vinyl archaeologists to sift through the wreckage of acid house, throwing aside the Alison Limerick double packs and long forgotten Shamen promos to bring you the gold." "But not only are these the very best of the remixes from the most creative period of house music, we like to think they define it too." This New State release is out now.